DENVER (AP) — In a step toward possible sainthood, the remains of a former slave have been moved to a Catholic cathedral in Denver, where people lined up Wednesday to honor her and pray for her help. Many touched the glass covering of a wooden chest holding the exhumed skull and other bones of Julia Greeley, a domestic worker known for her charity work and evangelism until her death in 1918. Others placed rosary beads on top of the chest, snapped photos and held up their children so they could view the sacred remains. After the viewing, the chest was screwed shut, sealed with gold wax and moved to a prominent spot next to the altar at the Cathedral Basilica of the Immaculate Conception. "Not a bishop, not a priest, but a lay woman," Auxiliary Bishop Jorge H. Rodriguez-Novelo noted during the ceremony Wednesday that came 99 years to the day after Greeley died on her way to Mass. The archdiocese is gathering testimony and documentation about Greeley's life as part of the first stage of the sainthood process. It will send a report to the Vatican, which will then decide whether to investigate Greeley's virtues. Greeley sometimes sent children to knock on the doors of those who needed help then run away, said Mary Leisring, president of the Julia Greeley Guild, which helps promote her story. 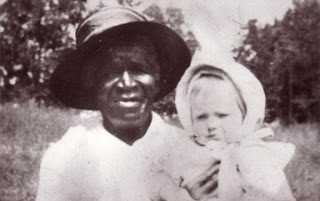 Greeley was born into slavery in Hannibal, Missouri, sometime between 1833 and 1848. As a child she lost an eye after the slave owner accidentally struck her with a whip while beating her mother. Greeley routinely visited every fire station in the city to spread her faith because she wanted to make sure the firefighters were prepared to meet God should they die on the job. She did her charitable work on foot despite suffering from extensive arthritis, which was confirmed by Christine Pink of Metropolitan State University, a forensic anthropologist who supervised the exhumation of her bones.